Making a mess and playing with food is the order of the day at our parties. 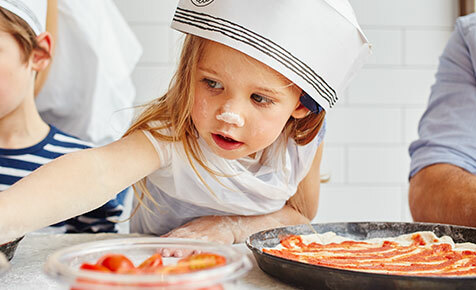 There'll be fun and games, and they'll get to create their very own pizza. 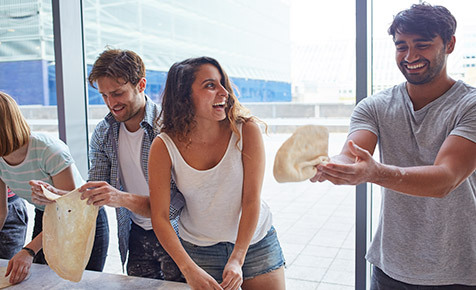 A night of dough-tossing and healthy competition, you'll have the chance to create your very own pizza with your favourite Milano ingredients. Whether it's a small gathering or a large corporate event, we've got a space that will suit your needs.